Marta Brankovich was born in Belgrade, Serbia. She was only 21 years old when she graduated from the University of Belgrade, as the youngest student with the highest GPA in the generation. 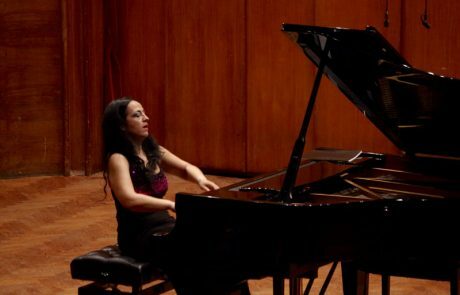 During her studies she received numerous international and domestic awards, scholarships, and public recognitions including winning the Third place on the famous Rubinstein piano competition in 1997 and receiving a special honorary scholarship from her country for making an outstanding career in the US in 2005. 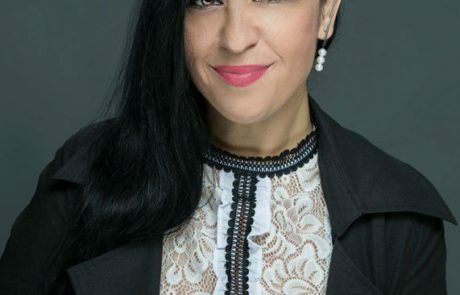 During her studies in Serbia she has accomplished another diploma in music marketing that gave her different perspective how classical pianists need to address a New Age demand of performance level. 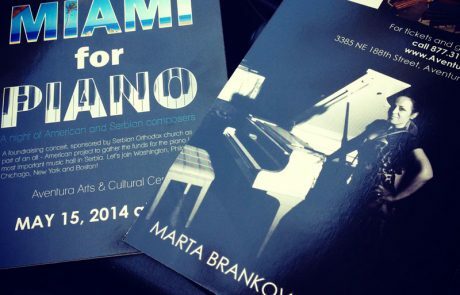 Marta is currently living in Miami where she has accomplished second Master diploma in piano performance in the class of well known pianist and professor Kemal Gekić in Florida International University. 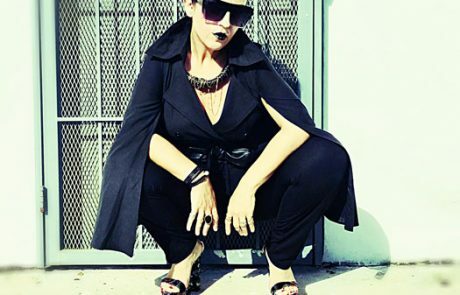 During her master studies she was participant of numerous festivals from EPTA in Europe, IKIF in New York, to New Music Festival and Subtropics Festival in South Florida. 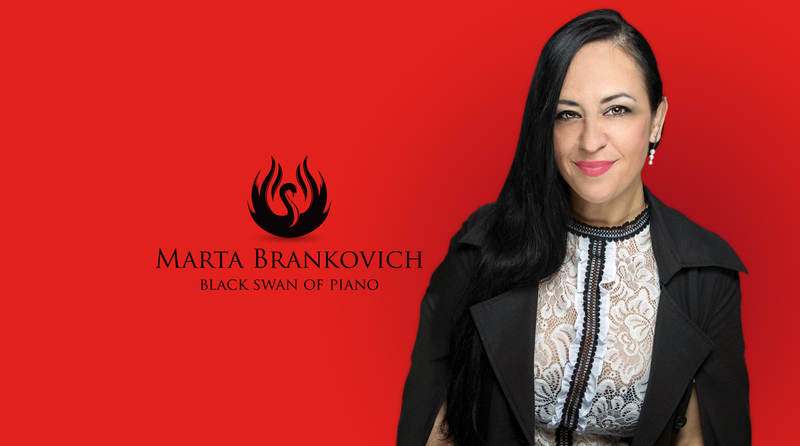 Since 2010, Marta has held over one hundred and fifty solistic recitals in all major halls of Eastern Coast of USA, receiving great reviews and often being called ‘A New Force Of American Pianism’- News Magazine, and ‘Black Swan of Piano’- Miami Herald. She recorded for TV and Radio in Europe and USA. 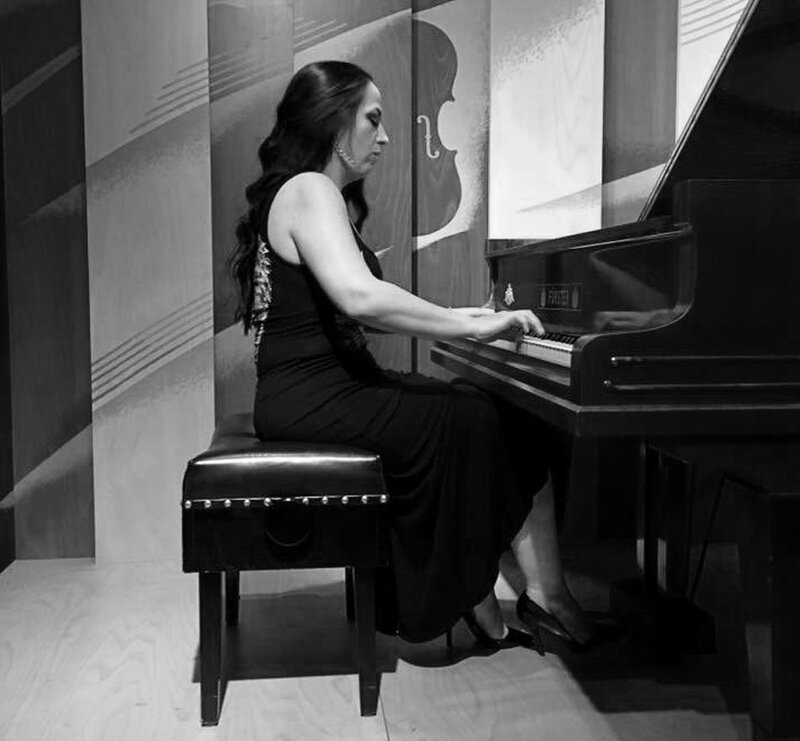 She has been collaborating with many international artists including playing in a piano duet with her own professor Kemal Gekić, receiving great reviews. 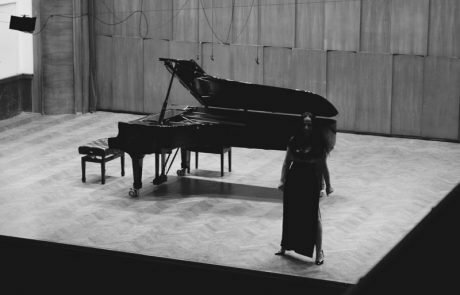 In the summer of 2016 she had her second concert tour in Europe in four years with fourteen recitals and lectures at various music concert venues in six different cities from Prague to Belgrade, Skopje, and Istanbul where she recorded for international TV and radio stations including famous Radio Vltava, and Radio Prague channel 3. 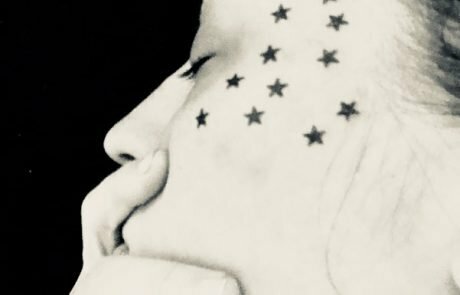 In the next two years Marta is invited on another european concert tour including countries such as Germany, Italy, and Czech Republic. She is also invited to do the doctoral studies in Europe. In January of 2017 Marta became recording artist for Parma Recordings and Navona Records. Her first CD for Parma is featuring music of Serbian, French and American composers of the 20th and 21st century. 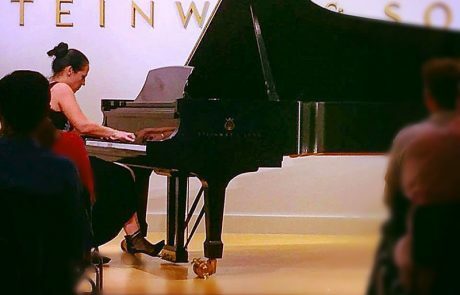 Recently Marta became member of FOCM, Friends of Collegium Musicum that is helping young musical talents all over the world get the scholarships for Florida Universities by performing on recitals all over Florida. 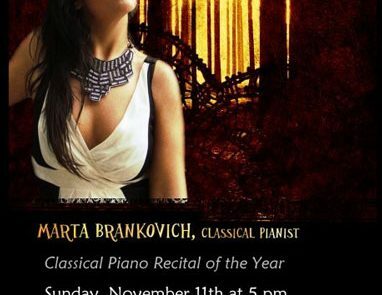 Marta is the owner and artistic director of the School for Talents called Agitato located in Miami, Florida. I believe that my time is Now, and that Now will serve me for many years to come. 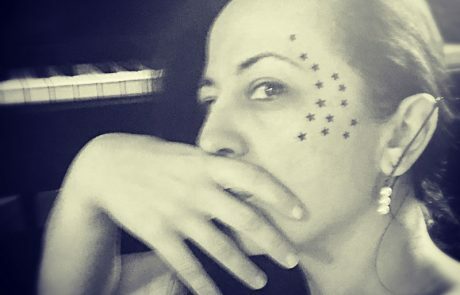 I see myself as a performance artist who is not only a classical pianist but someone who speaks vast musical language to different generations and simply inspires with its energy and appearance. 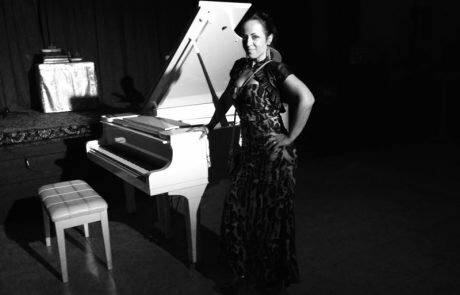 Back in 2009 after a big solo recital in South Florida critics called me ‘Black Swan of Piano’ and since then that name got attached to my performance life. 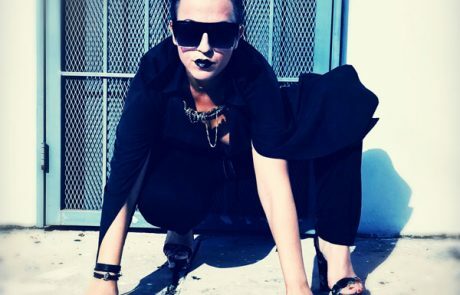 That year the movie Black Swan was trending and my performance reminded many people of Natalie Portman’s role of a dedicated, dramatic, and ambitions ballet performer who will do everything to reach the perfection on the stage. The interesting fact is that since early childhood I was inspired by Tchaikovsky’s ballet Swan Lake. 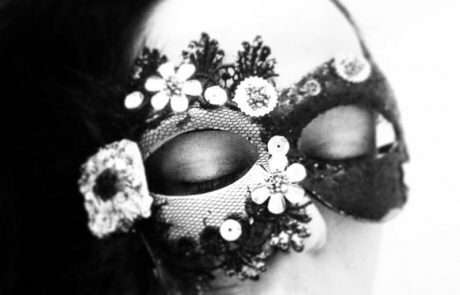 I was especially inspired by inevitable duality of white and black swan. I saw it as an evolution of one performance artist going through dramatic transitions from one phase of artistry to another. I think that Marta Brankovich is a White Swan that turns into the Black Swan as an alter-ego personality on the stage. Being on the stage is always a moment of my self-reflection and it’s so organic to me. Through the course of time, the question is: What I want people to hear or see? I want people to hear classical pianist that responds to a new age demand. I am eclectic and different, definitely more dramatic and personal. There is so much energy and power in the piano as an instrument that I have recognized and embraced. I feel that there is a special cosmic energy surrounding me when I perform giving me power beyond anything. It is something that audience needs to witness on my live recitals to fully comprehend. Another aspect of my performance life is that I started composing back in 2015. I always felt I will do piano composing but I needed to feel the right timing for it. Composing came as a nostalgic feeling towards Serbia, country where I was born and raised and where I started my career. My compositions reflect turbulent living in Balkan area, traditions, ethnic sounds, and choral music that is so strong in our music history. Composing for me is personal and it’s very much painful because it revives memories, however, I feel a duty and need to do it. So far I have composed four compositions for the piano album called: Serbia. 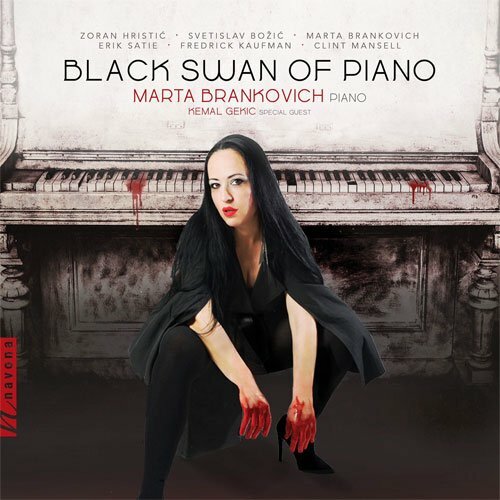 Two of the compositions are recorded for my first American CD for Parma Recordings that is coming out in September of 2018 and it’s also titled Black Swan Of Piano.